College can be expensive. At CommunityGiving, we help by administering $273,000 annually through 119 different scholarships you can apply for! The central Minnesota community believes you are the future, and we’re here to support you; that’s why we’ve created this resource. You don’t need to be a straight-A student or an all-star athlete to receive scholarships through CommunityGiving and our partners. Many of our scholarships are provided if you plan to attend a specific 2- or 4-year college, technical or trade school, come from a certain town or live in a certain company’s service area. While there are some requirements, not every scholarship makes you write an essay. Be sure to look at each scholarship which applies to you in depth, so you can discover if it’s right for you. Deadlines vary so pay attention and apply early; applications open on December 1 every year. 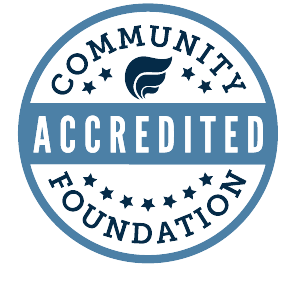 Click here to learn more about the scholarships available to you, or if you need assistance, contact our office staff at (320) 253-4380 or email programs@communitygiving.org. At CommunityGiving, we work behind the scenes to empower local foundations, businesses, clubs, organizations and individuals to focus on giving through scholarships. We handle the administrative and financial work to take the burden from you, assisting you in distributing scholarships to area students. Click here to learn more about setting up a scholarship fund, or if you’d like to discuss the process, contact CommunityGiving today.